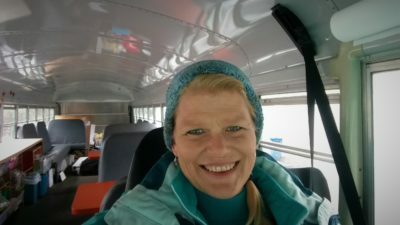 If you were out and about in Randolph this week, you might have seen Vermont’s favorite green bus coming out of hibernation. 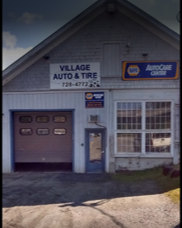 Thanks to the superduper support of Jim & team at VILLAGE AUTO & TIRE and NAPA AUTO PARTS, we are thrilled to know this ol’ bus is ready for its 10th season of bringing joy and the power of artistic expression to children in Vermont. 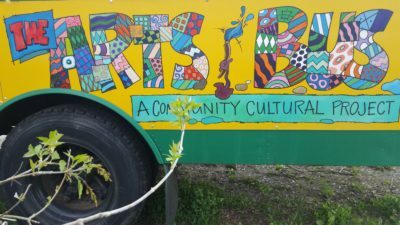 What else is new with the Arts Bus? We have been BUSY…. We are building our 2019 Bus Stop & Pops Calendar of Events. We are reaching out to artists, child care centers, schools, libraries, and rec departments to build our exciting arts program around Central Vermont’s children and families. We are grant writing, seeking sponsor support & being ever grateful of your donations of time, money, materials and smiles! 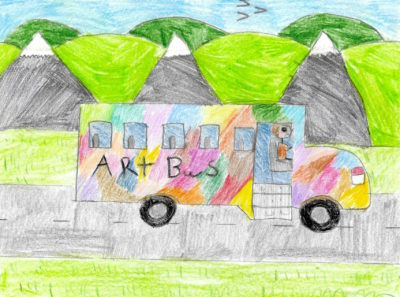 If you wish to have the Arts Bus come to your school/event OR seek to participate as an artist, educator, volunteer, or sponsor, we want to hear from you! Email here: info@artsbusvt.org or send us a message through Facebook. We enjoy building connections always.